Weight up to 13.2 lbs. 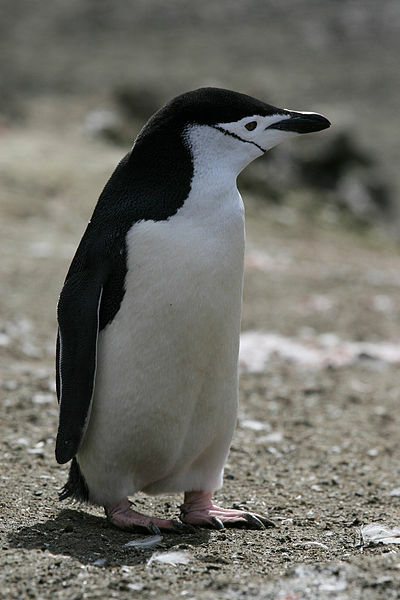 The adult flippers are black, with a white edge. The inner sides of the flippers are white. The face is white extending behind the eyes. The chin and throat are white as well. The short bill is black.